Published by kaleidoscope music-notting hill. Pressed on high quality 180 gram vinyl. The first part is featured on the Italo Disco Legacy 2xLP. But this EP is still not sold out on the Aube website, which is difficult to understand. This is like an anthem of nu italo. At least, that's what I felt while watching the documentary. Moreover, all three parts are great. i just can say its a really good record i like it !!!!! Good work, its a must have in every pvt collection! Titled after Künzer’s one year old daughter Philomania. Each track has a different twist to it. “Philomena I” is a cosmic synth fuelled work. The track has the energy of Explorer alongside a warbling analogue line with some vocoder additions to boot. Another element is added to the mix when some Faber style space lands in the latter stage of the track. “Philomena II” sees a change in tone. This time the beats are lowered as a downtempo air arrives. Embedded in the analogue swirl and soft beats are gentle rising vocals. There is a electro boogie within the bars of this piece, but it is the electronic depth that rings true. The final instalment, “Philomena III” keeps the heavy synthesizer sound going. The track is a keyboard day dream, a medley of notes rising and falling with an epic Vangelis undertone running throughout. Warm female vocals cascade into the frame, with notes shifting within the synthesizer sphere of sound. 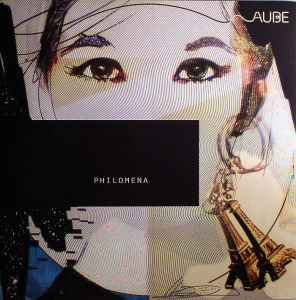 ‘Philomena’ sees Aube undertake a project of diverse styles. Cosmic synth, laid back electronics and a analogue soundtrack piece. Three highly talented artists coming together for three tracks. Limited Vinyl edition, high quality 180 gram vinyl.